SIG, one of the world's leading solution providers for the food and beverage industry within the field of carton packs and filling technology, is now the FSC general assembly’s exclusive ‘green’ sponsor – the top category of sponsorship for the FSC General Assembly 2017. We have interviewed Rolf Stangl, Chief Executive Officer of SIG, to understand better what FSC means to his company. What does the FSC general assembly mean to you? SIG supports FSC certification because of its stakeholder-driven and democratically governed structure. This ensures broad and equitable stakeholder involvement and support in defining responsible forest management. The general assembly is the core decision-making platform shaping the future of FSC. What is your history with FSC as a certificate holder and member? 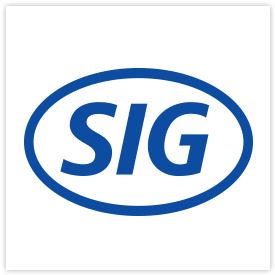 The carton manufacturers broadly, through their voluntary commitment in 2007, and SIG in particular pioneered certification in the industry, which was achieved globally in 2016. This is a commitment to 100 per cent chain of custody (CoC) certification and full traceability, so that only legal and acceptable wood fibres are used. Of course, the support of board suppliers such as StoraEnso and BillerudKorsnäs was key to kicking off and fulfilling the commitment, and is essential for SIG’s goal of 100% FSC certified liquid packaging-board procurement until 2020. In 2009, we were the first in the sector to have all our global liquid packing-board supply, all carton-converting sites, and all sales units FSC CoC certified. We made a clear decision to choose FSC exclusively, as we believe that the democratic chamber system with equal voting power provides the highest level of acceptance through all stakeholder groups. As such a system depends on active membership, it was logical for us to join FSC International as members to connect with the stakeholder groups and provide our beverage carton packaging industry expertise to further improve the FSC system. What role do you see SIG playing in the future of FSC certification? SIG (as one of the world’s leading solution providers for the food and beverage industry within the field of carton packs and filling technology) depends on a sustainable wood supply, as paper board makes up to 82 per cent of our packaging. We launched our Way Beyond Good initiative this year aiming to become net positive by contributing more to society and the environment than we take out. FSC is of course a key lever in our net-positive journey and we will continue our active membership to support the system’s growth, and to make it more robust and easier to use. How successful has your ‘FSC story’ been? How has certification improved your business journey? FSC is a great success story for SIG and our customers. With the FSC label on the packaging, we and our customers can demonstrate that we care about responsible sourcing of raw materials. Renewable wood fibre is what distinguishes beverage cartons from all other fossil fuel-based packaging substrates such as glass, metal, and plastic. This is why beverage cartons have a ‘best in class’ environmental footprint. With FSC-certified fibre, we are able to bolster this even further, making it more attractive for our customers to use SIG cartons instead of packaging solutions composed of fossil fuel materials. It is great to see that we have reached a 82 per cent share of FSC-labelled packs in the market and that we are close to reaching our 2020 target to have 100 per cent of our cartons in the market carrying the FSC label. You are almost approaching your goal to reach 100 per cent FSC-labelled packs. Do you already have a next goal in mind? Of course. In our Way Beyond Good initiative ambition to become net positive we have defined various goals. For 2030, we aim to source all raw materials from certified suppliers and a 50 per cent procurement spend on net-positive suppliers. This of course is a call to our paper board suppliers to join us in our endeavour to be net positive, which in turn will have a direct link to an increase in support for the FSC system. If you could make three wishes for the future of FSC, what would they be? Improve applicability for the small and low-intensity managed forests (SLIMFs) and strive to continuously increase FSC-certified wood volumes. Make FSC easier to use (especially label use) and less costly, by reducing unnecessary bureaucratic burdens. Ensure robust and sustainable local FSC systems by following a risk-based approach. Why did you choose to sponsor the general assembly and how do you feel about the fact that your sponsorship will enable the attendance of members who could not otherwise attend? The general assembly is an important occasion as it is the core platform in the FSC organization. The motions set the course for the system for the coming years. Attendance by members from all chambers is important for the system, to reach quorum, but even more to be part of the motion discussions and to be heard and recognized in the discussions and motion formulation. We understand that especially social chamber members in some circumstances have difficulties carrying the costs to come to Canada. It perfectly fits in our Way Beyond Good thinking that we sponsor FSC in this important event and that the sponsor money is used to help people from the social chamber to come to Vancouver. What will be the key themes on which you hope to focus at the general assembly? Leading up to the event, Kim Carstensen did a fantastic job in addressing the right points in the global strategy and the related implementation plan. A key theme for us is the future Controlled Wood Strategy and its impact on supply chains. As you know, we and the paper industry need the controlled wood supply and credit system in our value chains. Another key topic is the future approach for smallholder certification. At present, our supply chain is facing a big issue in terms of smallholder forest certification, which is limiting the expansion of FSC forest certification and wood supply. What outcome(s) do you expect from the FSC General Assembly 2017? FSC is at an important transformational stage. We consider the key factors for its future growth to be robustness, ease of use at reduced costs, and structured open processes. I trust that members participating at the general assembly will take this into consideration in their discussions and drafting of motions. To foster responsible forest management around the globe via FSC certification, clear commitment and action by big multinational companies, brands, and retailers is important. It would be great to see more companies joining the FSC system and sending a clear signal that forest certification is important.